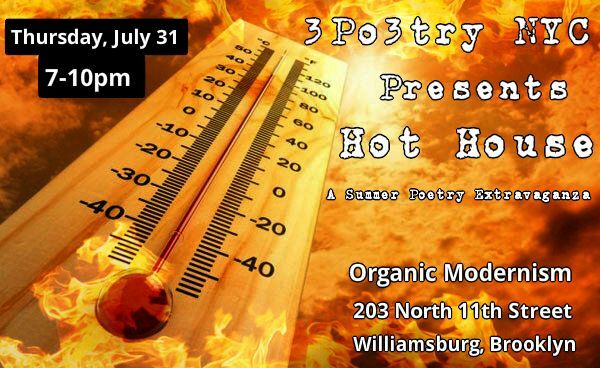 Hala Alyan is one of the featured artists in Hot House: A Summer Poetry Extravaganzaon Thursday, July 31 @ Organic Modernism, the second in a series of events produced by 3Po3try NYC. What's your idea of the the perfect poem? When I have to catch my breath afterwards. What's your best writing moment? When even a dim lightbulb on the subway is inspiring. What's your worst writing moment? During dry spells—days or even weeks without a single poem. What time of the day do you mostly write? For poetry, it’s nighttime. What do you do to get into your writing sessions? Set a timer and work. What's the weirdest place you ever wrote? In an airport detention room. What's the weirdest thing you ever wrote on? Someone’s neck. What book changed your writing forever? Louise Glück’s "The House on Marshland"
Do you have any writing superstitions? Not to show people unfinished poems. 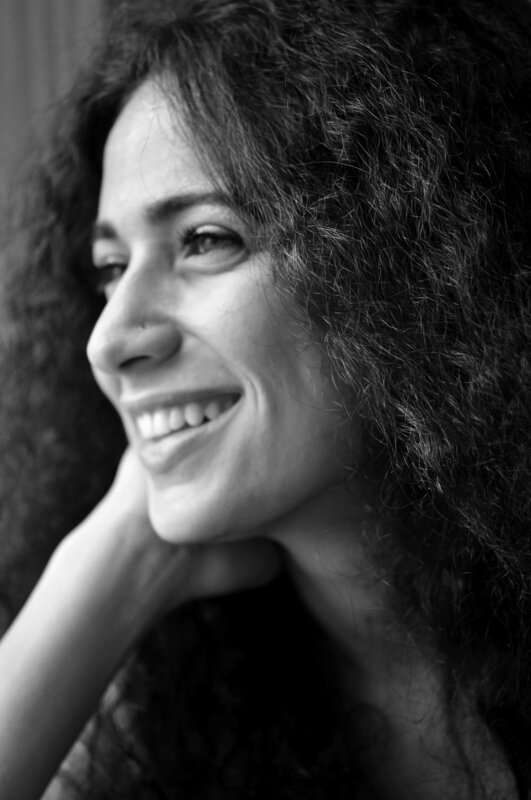 Hala Alyan is a Palestinian-American poet whose work has appeared in several journals, including Copper Nickel, Third Coast, and The Journal. Her first full-length poetry collection, Atrium, was published by Three Rooms Press and was awarded the 2013 Arab American Book Award in Poetry. Find more of Hala's work in the great weather for MEDIA anthologies The Understanding between Foxes and Light and It's Animal but Merciful.